Weeley station is a two platform Category F station operated by Abellio Greater Anglia. The access to the station is via a single entrance to Platform 2. The only access to Platform 1 was via an existing Exmouth precast reinforced concrete footbridge spanning two tracks with dog leg staircases to each platform. The GRIP 3 remit outlined that the footbridge was nearing life expiration and it was proposed to replace the structure with a new TUM 400 Steel Footbridge. Defects on both platforms were also outlined and repairs and renewals were identified as being required. VEDA Associates were employed as lead designer by Spence to carry out multi discipline detailed design for the proposed new TUM 400 Steel Footbridge. The design included piled foundations, electrical lighting, CIS and new CMS for migration of existing services from the existing footbridge structure. 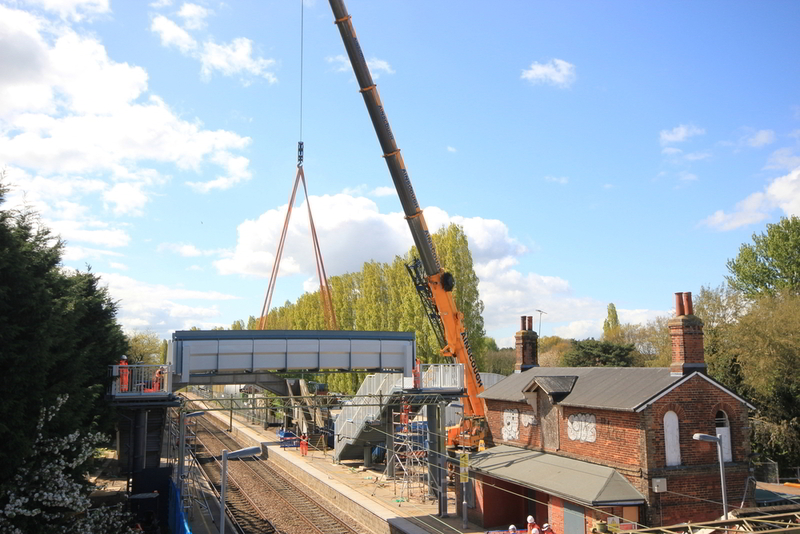 There was a requirement to carry out temporary works designs for the removal of the existing Exmouth Footbridge and the installation of the new TUM 400 Steel Footbridge. 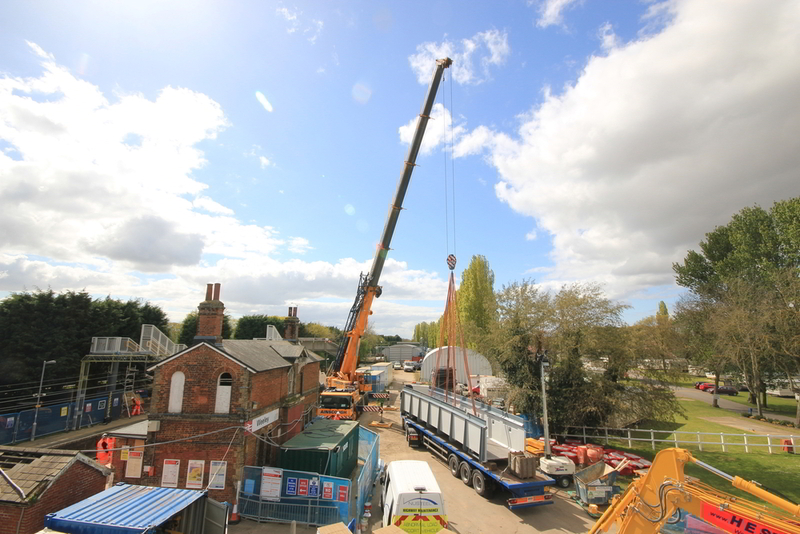 The existing structure was removed in sections with a 150T mobile crane. 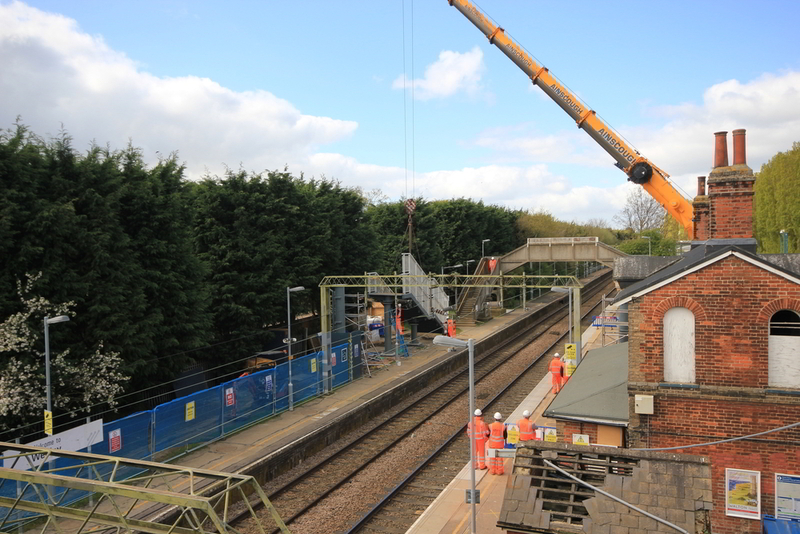 The temporary conditions of the footbridge during the staged demolition works was determined and temporary propping was designed accordingly. Ground investigation was carried out to determine the requirements of a crane mat for all lifting operations based on maximum outrigger loading. VEDA Associates were also employed as lead designer by Spence for the proposed platform refurbishment works. The remit for the refurbishment works included Platform Gauge Design & drainage design. As part of the refurbishment works on site the contractor installed new platform edge concrete copers, new tactile units, new tarmac resurfacing and new platform drainage. 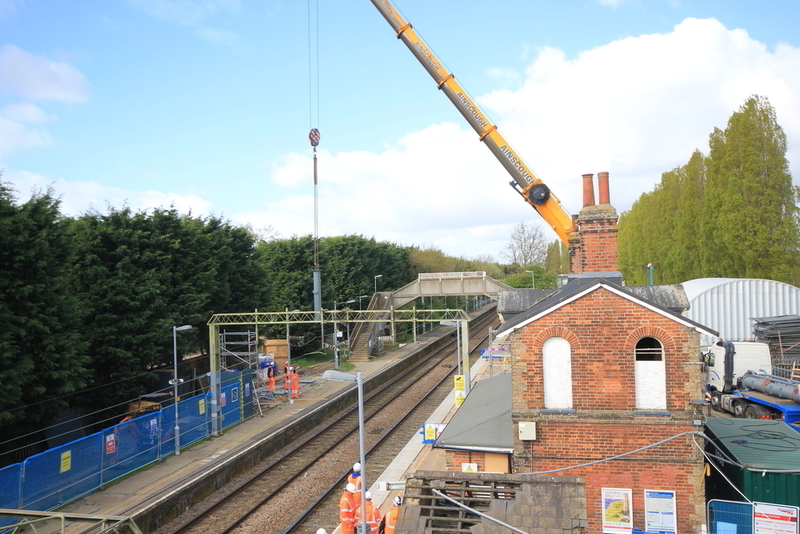 It was outlined in the remit that a large section of the existing Platform 1 riser wall had moved towards the running rail. This section of riser wall was to be deconstructed and rebuilt. The riser wall was designed such that it could be reconstructed during a 100hr weekend possession.